2nd. Edition 2015, 160 p.
Obesity is increasingly prevalent in Western societies, and obese patients frequently present to hospital for surgery and anaesthesia. 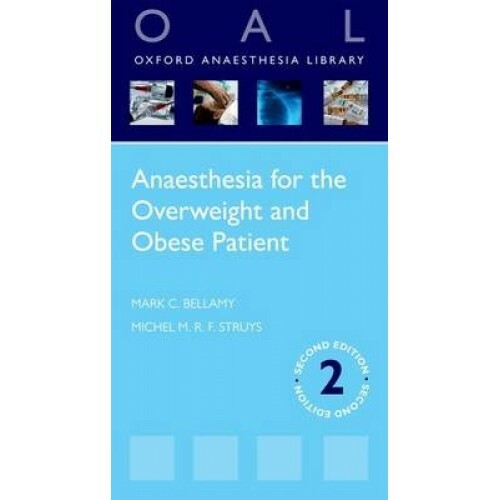 Obese patients pose a major clinical challenge to the anaesthetist, who must take into account the special anatomical, physiological, pharmacological, and psychological requirements of this patient group. 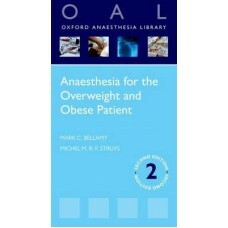 This second edition of the successful pocketbook Anaesthesia for the Overweight and Obese Patient incorporates the latest advances in the field, particularly those relating to obesity in critical care, pharmacology and antibiotics. It also includes new chapters on screening and cardiac risk in obesity surgery, obesity and artificial ventilation, and bariatric surgery in the elderly. Readership: Anaesthetists and trainees in anaesthesia, as well as nurses, medical students, and healthcare professionals practising in intensive care.